Fan tweets J.J. Watt for pair of his new shoes. HOUSTON (KTRK) -- It's the season of giving and Houston Texans star J.J. Watt has joined in with an offering of his own. Via Twitter, user @rryjackson asked Watt for information on upcoming contests to win a pair of his new shoes. Watt donated with the message, "If there's anything that I can do to help, please let me know. Sending my best wishes to Grant and the entire Milton family." "The holidays, student loans, and bills have left me broke," she tweeted. In true Watt spirit, he responded with: "What size? I'll send you a pair." Safe to say someone will be receiving an early, yet exciting, holiday gift. 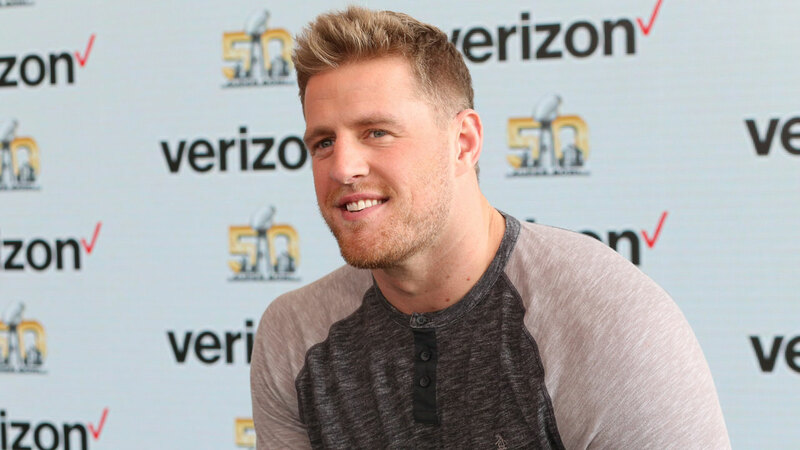 Texans star JJ Watt & Young cancer patient profiled in my wish series. 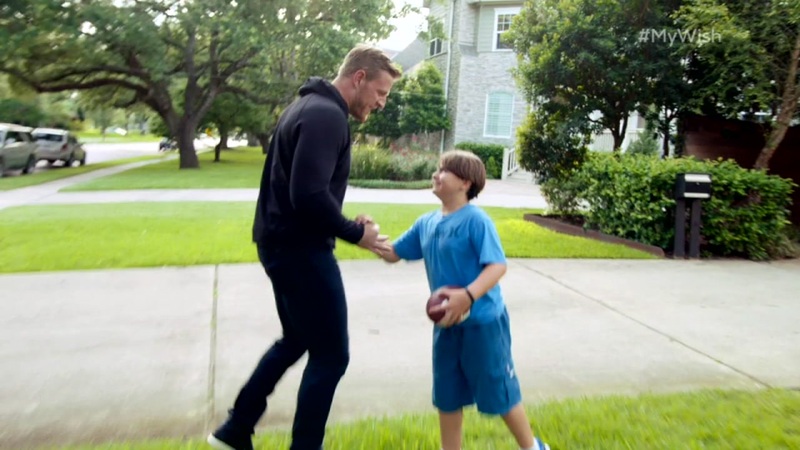 J.J. Watt is one of the biggest stars in the NFL and Texans fans also know that Watt has a soft spot in his heart for his youngest fans. Watt is part of a nine-year-old cancer patient's wish that is coming true as part of the ESPN "My Wish" series. In September, the defensive end was placed on injured reserve after he re-injured his back during the season. Watt expects to return for the 2017-18 season.